Calls regarding suspicious activity has led to increased patrol on Hampton Drive. Photo by Dana Lee. 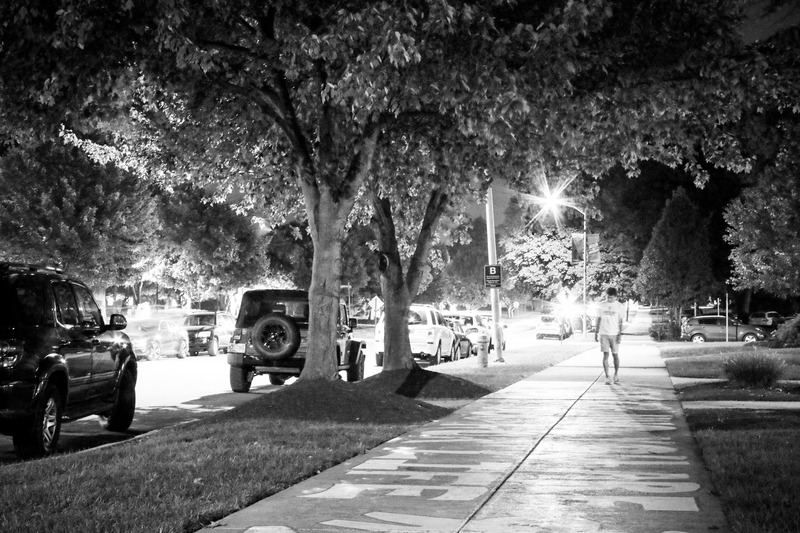 Within the span of a week, the Butler University Police Department has received 10 calls regarding reports of several individuals lingering on Hampton Drive after dusk. According to the public safety message BUPD sent on Sept. 13, “University Police has investigated several persons of interest matching descriptions they received; however there has been no report or confirmation of a crime this far.” An official report is conducted and entered into the crime log when a law is broken. Anthony Rivera, assistant chief of BUPD, has increased patrol around campus in response to this activity. Katie Shelford, a sophomore health sciences major and a member of a sorority on campus was at her chapter’s house when one of the incidents was reported. She heard a figure had been on Hampton Drive that night for four hours. Shelford said she thought it was an isolated incident, but it was followed with several rumors throughout the week. Rumors included several men taking pictures of houses and parking for long periods of time. Shelford said she did not see any of this happening. Rivera said one person was a dining services worker, one was a contractor and one was an individual who lives in an old Greek house. Phi Kappa Psi still owns the property, and they have employees who reside in the house. Rivera also emphasized the importance of contacting BUPD immediately and being a descriptive witness.